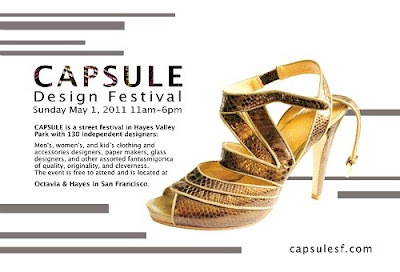 I'm sharing a booth with Dark Garden Corsetry at the Capsule fashion event this coming weekend, Sunday May 1, in Hayes Valley (San Francisco). I'll be showing new styles, one-offs, old favorites, and also taking special orders and appointments for design consultations. Drop by and pick up a coupon code for 10% off any custom order placed before May 31. Look for us on Linden between Octavia and Gough, just off Patricia's Green (the park at Octavia and Hayes).